There are many summits in Hemavan Tärnaby that make excellent destinations. Climb four summits during the summer and take part in a lottery where you could win weekend holiday or an evening meal in one of the local restaurants. Climb as many as eight summits and you will become part of a select group from which a Summit Champion will be chosen. 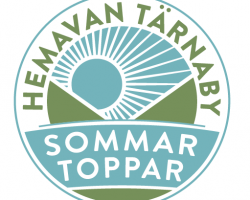 Enter your details on the talon and when you have completed your four summits (two summits for children under 15) hand it in to the staff at either the Hemavan Tärnaby Tourist Information Office or Naturum Vindelfjällen. Summit books will be left on the summits between July 7th and October 7th. The winners will be announced in the middle of October 2018. If you have managed eight summits during a two year period, it is possible to purchase a special enamel summit badge for 50 kr. This is for sale at the Hemavan Tärnaby Tourist Information Office or Naturum Vindelfjällen in Hemavan. This tour day is the launch of our Summer Summit programme 2018. During this day guided tours will have extra focus on flora and fauna, photography and local history. You could also experience a little bit of everything by joining the night time tours that take you out during the magic of the midnight sun. More information will be posted here. Use a mountain map and compass. Mountain environments are fragile so it is important that we treat them with extra care. The summits all lie within an area used by Sami for reindeer husbandry which means that dogs must be on a leash at all times. You may pick flowers and berries in most places but some species are protected and must not be disturmed. .